Increase your average basket value by creating kits, sets and bundles that are unique to you. Manage stock when it is being sold separately and as part of a bundle. Combining certain items together as a kit or set will give you a unique product on the marketplaces and give you a new sales opportunity. A kit might be a dustpan and brush, or perhaps a child's toy with a book. We ensure that the items within the kit you create continue to have their stock levels accurately controlled. And we also allow you to list an item against multiple ASIN's, where Amazon already has more than one reference for a specific item. Sell more by making full use of your available stock, call to find out more on 01786 430076. Easily build a kit from the various items you have access to. And give your business increased sales opportunities and increased average basket values. 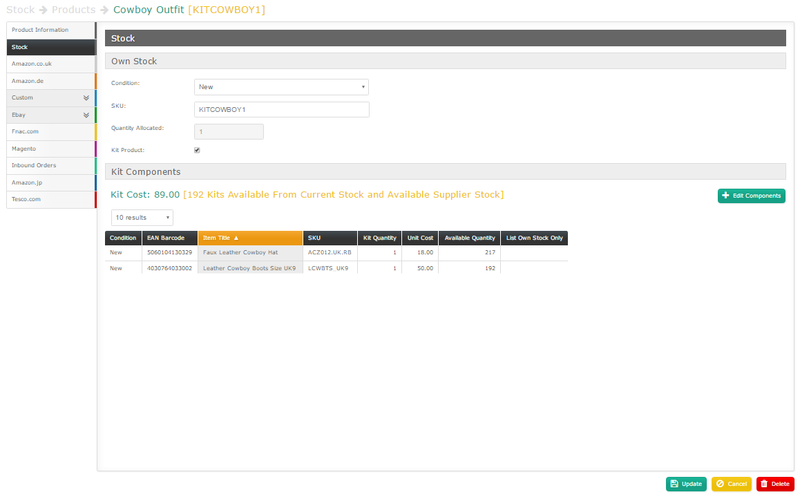 Maintain accurate stock controls even when you are selling items separately and as part of a kit. 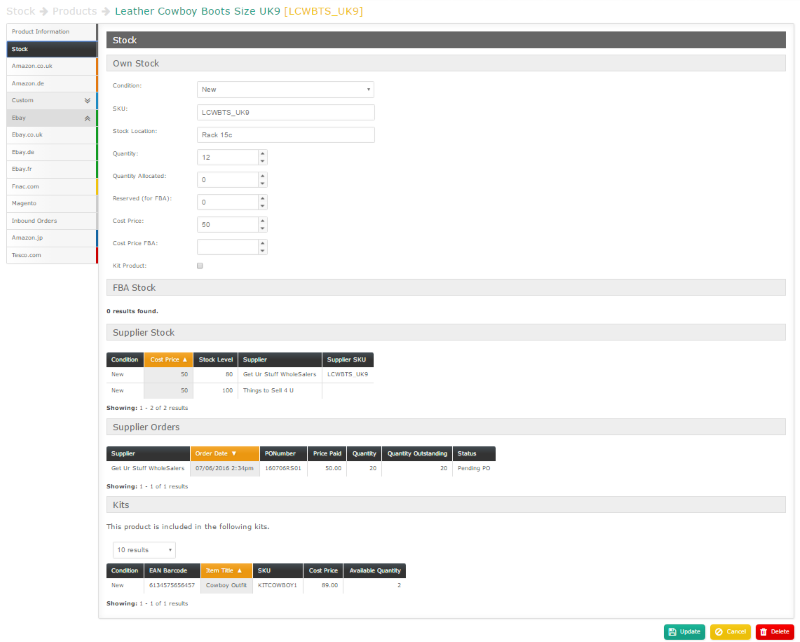 Create unique kits to set you apart on the marketplaces and increase your sales while making best use of your available stock. Get A Full Demonstration And Get All Your Questions Answered. Sign Up For Your 14 Day, Fully Supported, Free Trial.